http://www.hotel-marais-grands-boulevards-paris.com/, the official site of the BEST WESTERN PREMIER Marais Grands Boulevards 4*, is the easiest and best way to make a reservation in a Book Inn France hotel. Our promise of the best rate is your guarantee of the most advantageous offers available online. http://www.hotel-marais-grands-boulevards-paris.com/ is the best source of information about the BEST WESTERN PREMIER Marais Grands Boulevards 4*. You can also find plenty of ideas for activities and visits during your stay. 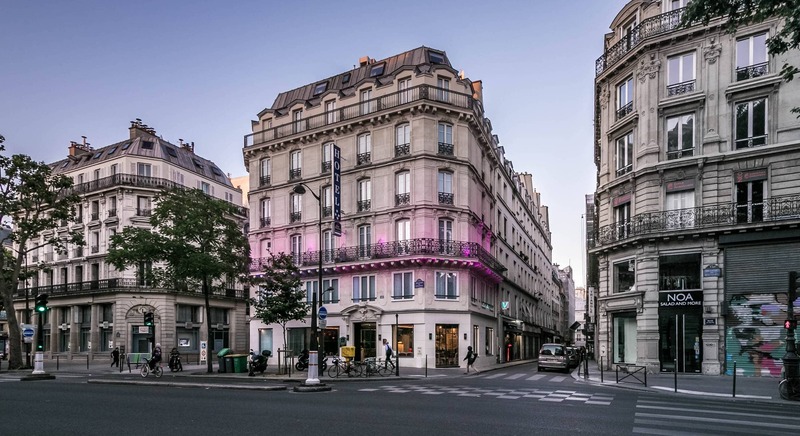 http://www.hotel-marais-grands-boulevards-paris.com/ never demands a booking fee. All rates shown are totally transparent so you know exactly how much your stay will cost when you make the reservation. When you make a reservation on our Internet site, our team is at your service to answer any questions you may have. Please feel free to contact the hotel. Each time you make a reservation on our Internet site, we learn a little more about your preferences and requirements. To thank our guests, we can offer personalised services. Our hotels offer exclusive packages and numerous other offers that are only available via our Internet site. Our Internet site is equipped with the very latest security features to ensure all transactions are completely secure. This means you can make your reservations on http://www.hotel-marais-grands-boulevards-paris.com/, the official site of the BEST WESTERN PREMIER Marais Grands Boulevards 4* safe in the knowledge that your transactions are totally secure. Please check the hotel’s cancellation policy for penalty free cancellations. To cancel your reservation, click the link contained in the email you received confirming your reservation.